The outgoing Commander of the German Navy’s Fleet Air Arm has commended the flying training delivered to his Service by HeliOperations. 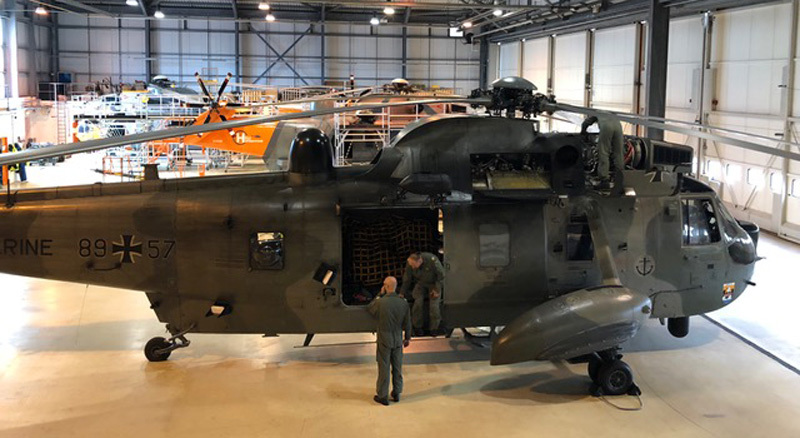 In a recent letter Kapitän sur See Matthias Potthoff applauded HeliOperations’ ability to deliver a comprehensive training solution; one which fully-met the FGN Fleet Air Arm’s urgent operational requirement to train both ab initio SAR crews and SAR captains. Kapitän Potthoff remarked that the training was of the highest-standard and was endorsed by his own German Navy Staneval. In his commendation, Kapitän Potthoff explained that the course output standard had exceeded expectation and this in-turn had enabled him to make a significant reduction in the hours required to get his crews to post-graduate OFT standard. He went on to praise HeliOperations staff for their efficiency and proactive approach throughout the program; he singled-out and their ability to engage seamlessly with the full breadth of stakeholders including the UK Ministry of Defence and OEMs; this, he said, significantly reduced the commercial risk of the project. Kapitän Potthoff concluded by saying HeliOperations is delivering an outstanding training solution, operated in a transparent and cost-effective manner.